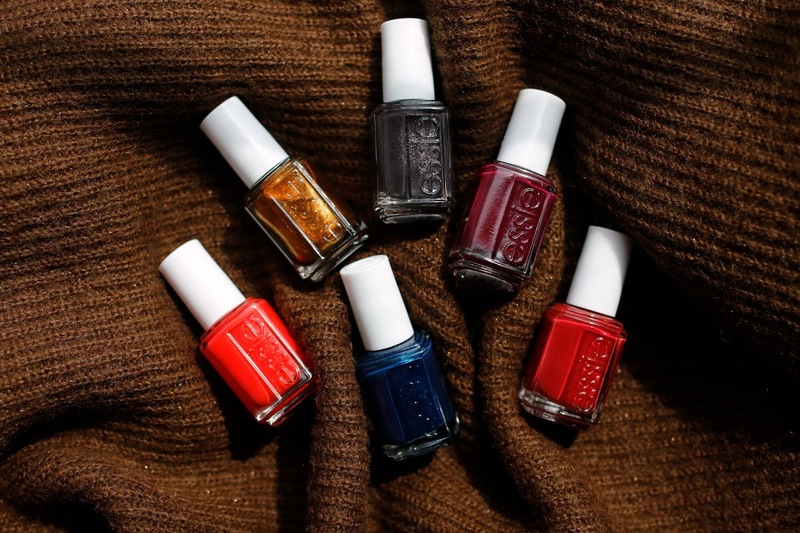 No one does fall nail color like Essie. I mean Wicked, Licorice, Chinchilly! I could go on and on. Here is a look at the newest fall 2015 collection. 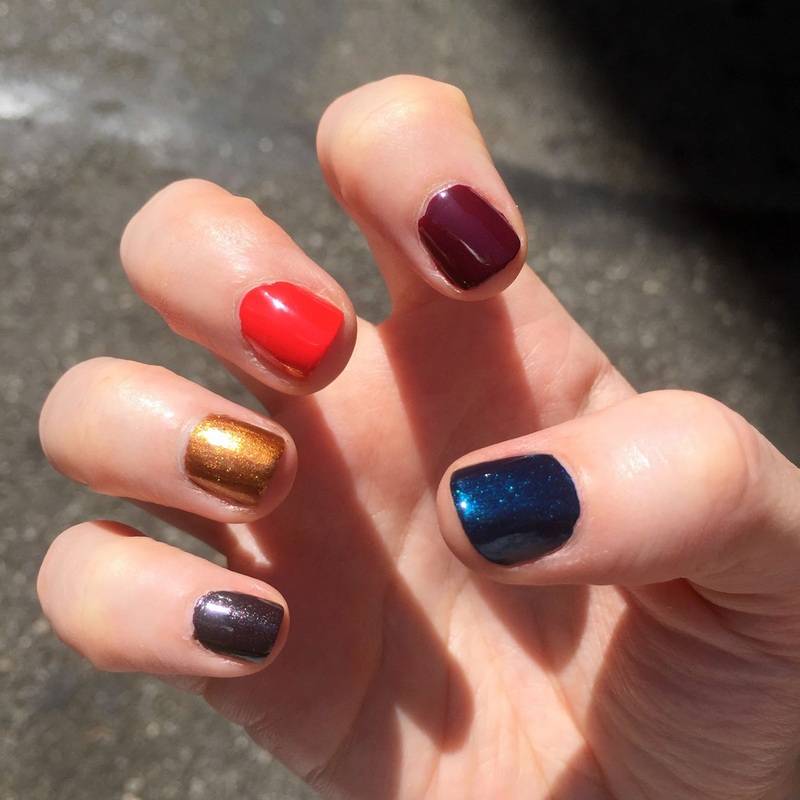 Typically when a nail polish brand launches a collection, I have one or two colors that I wouldn't wear but I fell in love with each and every color from this one. 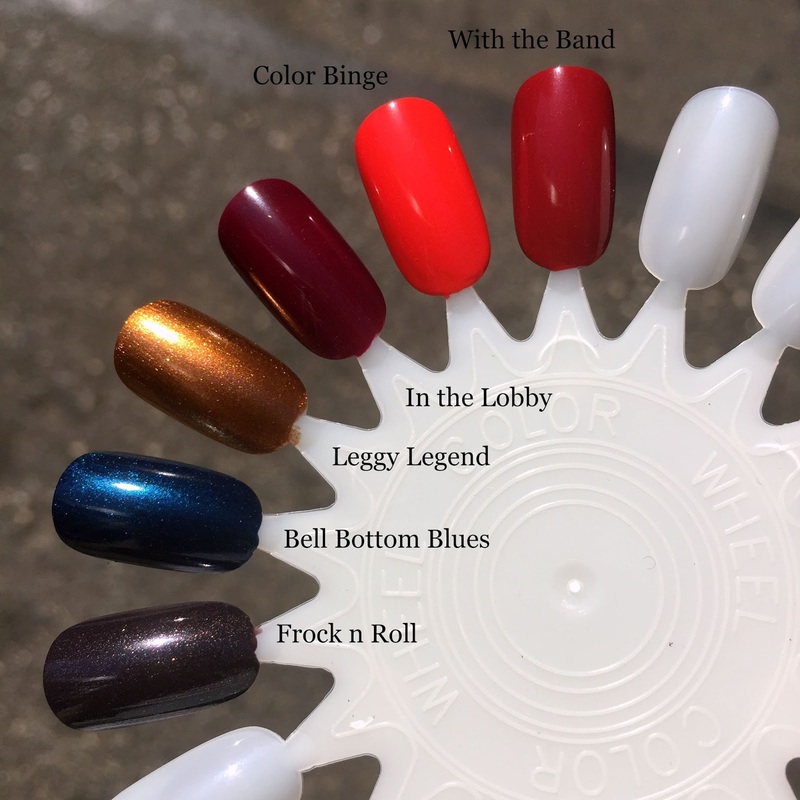 Leggy Legend is by far the most memorable and really stands out on the nails. It's a show stopper. In the Lobby looks a bit more maroon in the above pic, but as you can see below from my index finger it skews more wine/burgundy which I prefer. 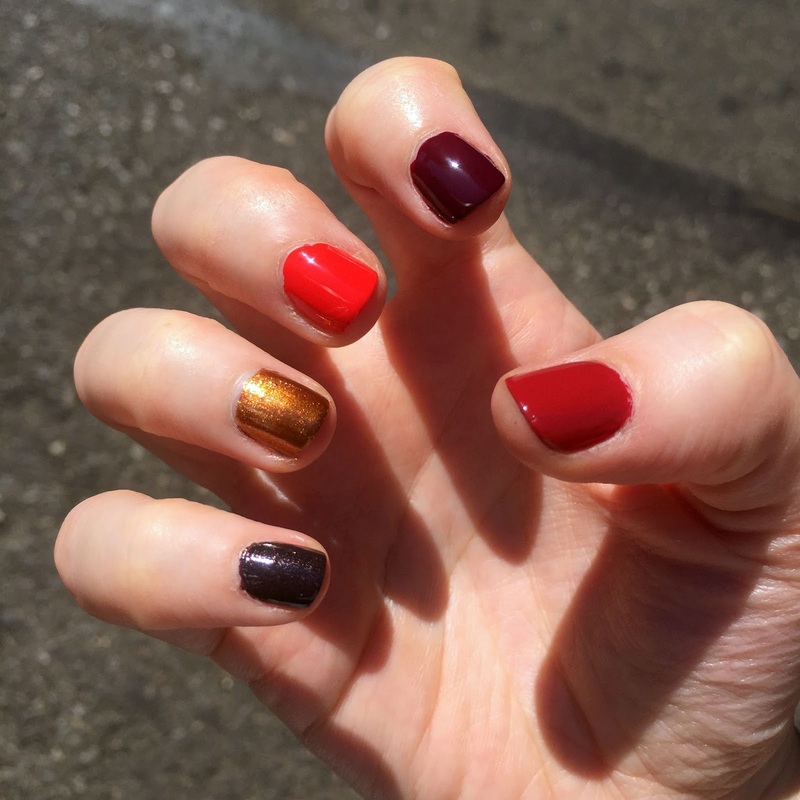 Of course Color Binge was the first one I swatched when I received the polishes because I can never resist a red-orange. I was a bit hesitant about With the Band upon seeing it in the bottle, but once on my finger it looked like the perfect brick red for fall. Frock n Roll and Bell Bottom Blues are going to be great for the holidays - both would look great with a little black dress. I forsee a few of these shades becoming cult classics.